On the other hand, this is pretty legit. 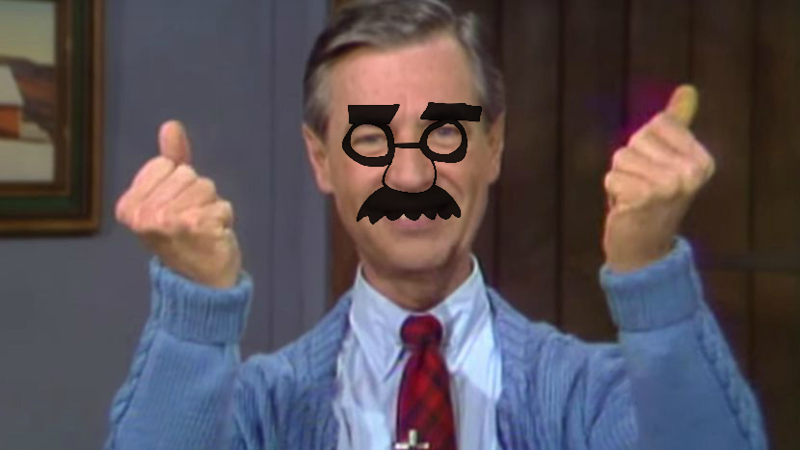 Mr. Rogers looks like Jeraldo Rivera This is a jamming track. Love that electronic piano work in the background. Great baritone guitar sound, or possibly that is a second bass in a higher register. Downloading! How did you get those vocals? Assuming they are well placed samples, but they fit so well! Mr. Rogers looks like Jeraldo Rivera :) This is a jamming track. Love that electronic piano work in the background. Great baritone guitar sound, or possibly that is a second bass in a higher register. Downloading! How did you get those vocals? Assuming they are well placed samples, but they fit so well!